We hope you enjoy your visit to our web site. This web site was created to give you some insight into SSI's history, products and processes. SSI Technology, Incorporated (SSI) a Veteran Owned Company was founded in Troy, Michigan in 1972 as Signals & Systems, Incorporated. The company was sold to its current management in 1997. Shortly thereafter, the Corporate Name was changed to SSI Technology, Incorporated. In 1999 the company outgrew its previous location and relocated to a new modern facility in Madison Heights, Michigan. Since our relocation we have expanded our facilities two times in the last ten years. In early 2010 we added a second production facility. In 2016, we again relocated our main facility to Sterling Heights, Michigan. Since its inception the company has always been committed to and continues to live by the old adage that “The Customer comes first”. Every employee, beginning with Marketing and Sales, through Engineering, Purchasing, Manufacturing, Quality Assurance and Shipping carries out this commitment daily. This commitment, is reflected not only in SSI’s growing list of satisfied customers, but also in the successful growth of SSI as a leader in its class. Over the past four plus decades, SSI made its mark in the defense industry by manufacturing custom electronic and electromechanical devices that resolve perplexing problems and meeting specific system requirements. These products include; Fuel Level Sensors, Fuel Water Separators, High and low current Solid State Switching devices, optical systems and devices and a myriad of other components and systems which can be found on our products and catalog pages. In order to manufacture exactly the right product, it’s of the utmost importance to understand the environment in which military electronic and electro-mechanical products must operate. 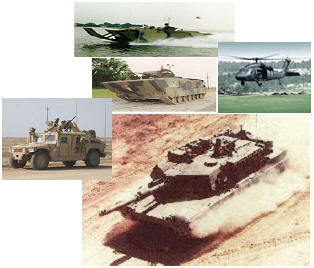 We pride ourselves on having accumulated an in-depth familiarity of the harsh and demanding world in which tanks, trucks, planes, ships, missiles and other types of equipment function. We understand the effects of temperature extremes, gun-firing shock, ballistics shock, vibration, high altitude, humidity, mud, dust, and yes, even the strong hand of operating personnel. It’s this kind of knowledge, and our ability to factor it into each product we manufacture. This adequate margin of safety covers the unknowns, and this sets SSI apart from others. SSI currently operates under the following quality programs; MIL-I-45208 (approved quality control manual and operation), ANSI J-STD-001B (certified soldering instructor and operations), MIL-STD-454-REQUIREMENT 9 (workmanship standards). In October of 2005 we were presented with a certificate of compliance from DCMA for ISO 9001:2000. Additionally, we are registered and compliant to ISO 9001:2015 with AS9100D. Suppliers please view Our Supplier Quality Manual. For additional information about SSI's quality initiatives and our product warranty please visit our Quality Page.